U.S stock futures are lower; along with European shares while gains in Asian equities were capped overnight after President Trump’s comments on further Chinese tariff hikes casted doubt on an ending to a trade war between the worlds two largest economies. U.S Treasuries and the ‘big’ dollar are holding steady ahead of Thursday’s FOMC minutes for clues to future interest rate policy. Elsewhere, euro-zone bonds have rallied this morning; while the ‘single’ unit remains under pressure as concerns persist that the eurozone economy is slowing. The pound is lower as the market considers the prospects for parliamentary approval of the Brexit deal. Elsewhere, emerging market currencies are weaker overnight and their equities traded little changed. Bitcoin has steadied, trading atop of $3,700 after plummeting -14% yesterday. On tap: Presidents Trump and Xi Jinping plan to meet at the G-20 that starts on Friday. Fed Reserve Vice Chairman Richard Clarida speaks in NY today and Chair Powell speaks tomorrow. G20 meeting is to be held in Argentina from Nov 30-Dec 1. Japanese stocks rallied overnight, lifted by a gain stateside Monday and as a weaker yen supported exporters, although fresh concerns about Sino-U.S trade tensions capped gains. The Nikkei share average ended the day +0.64% higher, while the broader Topix added +0.73%. Down-under, Aussie stocks ended higher overnight, with financial stocks leading gains after regulators gave lenders more time to implement new capital rules on loans. The S&P/ASX 200 index climbed +1% at the close of trade after falling -0.78% Monday. In S. Korea, the Kospi stock index rallied, lifted by gains in auto shares, while investors remained cautious over Trump’s new trade remarks on the Sino-U.S trade quarrel. The Kospi was up +0.79%. In China, equities closed lower overnight after U.S President Trump seemed to nullify hopes of a trade truce with Beijing, while investors remained on the sidelines amid a slowdown in global growth. The Shanghai Composite index ended flat, while the blue-chip CSI300 index closed -0.1% lower. In Hong Kong, stocks eased slightly on Tuesday, as market remained wary of potential volatility inspired by this weekends G20 summit and the pace of interest rate hikes in the U.S. The Hang Seng index was down -0.2%, while the Hang Seng China Enterprises index fell -0.1%. In Europe, regional bourses trade mixed. The Italian budget and Brexit developments continue to be in the forefront – Italy confirmed their 2019 budget but was still considering lowering it, while the UK Parliament will vote on the proposed Brexit deal on the Dec 11. U.S equities are set to open little changed (-1%). Oil prices remain under pressure, depressed by record Saudi Arabian production, despite the kingdom trying to persuade other exporters to agree output cuts ahead of next week’s OPEC meeting. Brent crude oil is down -70c a barrel at +$59.78, while U.S light crude is -75c lower at +$50.88. Data Monday showed that Saudi Arabia raised oil production to an all-time high this month, pumping +11.1M to +11.3M bpd in November. Note: Oil prices are down -30% since early October, weighed down by an emerging supply overhang and widespread financial market weakness. The market is now waiting for the outcome of this weeks G20 meeting in S. America and next week’s OPEC meeting. Ahead of the U.S open, gold prices are a tad lower as the ‘big’ dollar holds firm outright, and while investors await for clues on the pace of future U.S interest rate hikes and the outcome of the G20 summit. Spot gold is -0.1% lower at +$1,220.97 per ounce, while U.S gold futures are down -0.2% at +$1,220.2 an ounce. German bund yields are trading atop of their three month lows this morning after President Trump brought global trade conflicts back into the fore, fuelling concerns about the outlook for the global economy. Trump said yesterday that he expects to raise tariffs on Chinese imports and also said that the Brexit agreement may make trade between the U.S and London more difficult. The yield on German 10-year Bunds has dropped -3 bps to +0.33%, its lowest print since early September. Elsewhere, the yield on 10-year Treasuries is unchanged at +3.05%, while in the U.K, the 10-year Gilt yield has fallen -3 bps to +1.375%, the lowest in more than a week. The spread of Italy’s 10-year BTP’s over Bunds has increased +2 bps to +2.9245%. President Trump is expected to move ahead with plan to increase China tariffs to +25% on $200B worth of goods – iPhones made in China could be included in new round of tariffs. Trumps ‘hawkish’ comments on trade is helping the U.S dollar to maintain a firm tone – his remarks are very much par for the course on attempted deal making. 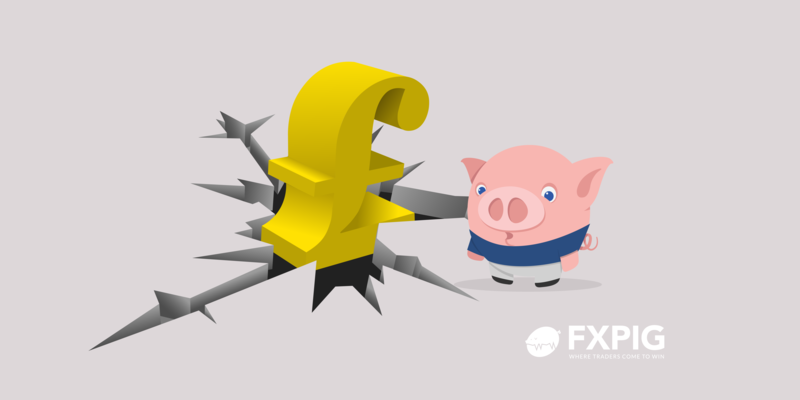 GBP/USD (£1.2759) trades atop of new two-week lows, as concerns over the upcoming Brexit vote remains a headwind for sterling. EUR/USD (€1.1317) is steady, as Italy appears to be less confrontational with a willingness to negotiate, as the government seems aware of the implications of its actions. Elsewhere, yen has decreased less than -0.05% to ¥113.60, the weakest in more than a week. Australia’s conservative government are looking at a general election next May, as PM Morrison brings the budget forward to April 2. “It is absolutely our intention to deliver the budget before the election, and to deliver a surplus budget,” he says. The announcement means the election will be held on either May 11 or 18, with the minority government lagging badly behind Labor opponents in opinion surveys that indicate conservatives could lose as many as 20 seats. Morrison has indicated that a mid-year budget update would be delivered on Dec. 17. Note: PM Morrison has suffered another blow to his minority government’s position overnight with Victoria’s Julia Banks announcing her departure to stand as an independent due to frustration at internal party divisions over energy and climate-change policies, as well as women’s issues.